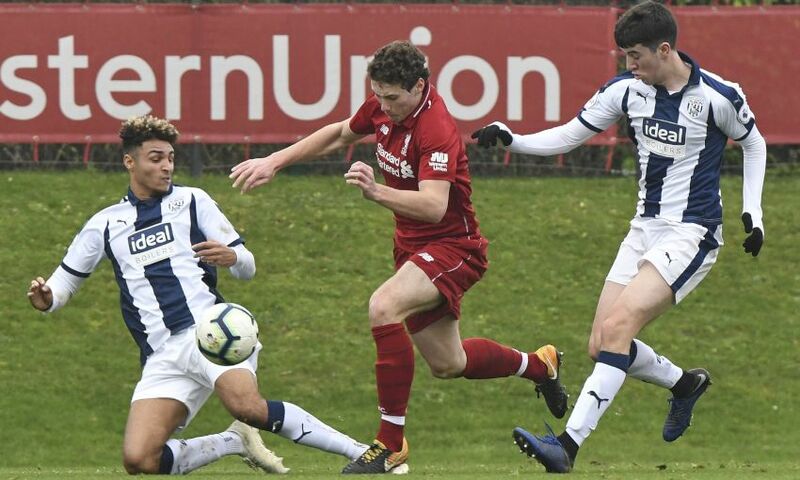 Liverpool U23s came from a goal down to draw 1-1 with West Bromwich Albion in their Premier League Cup tie at the Academy. Kyle Edwards produced the standout piece of quality in the first half, his powerful surge and sure finish giving the away team a lead at the interval. But the young Reds were a different side from the outset of the second period and levelled on the hour when Matty Virtue beat the goalkeeper from distance. Neil Critchley’s team could not complete a full turnaround, however, and remain bottom of Group C with two fixtures left to play in the section. The visitors made a keen start in Kirkby but Curtis Jones, playing as the central focal point of Liverpool’s attack, soon began to influence proceedings. 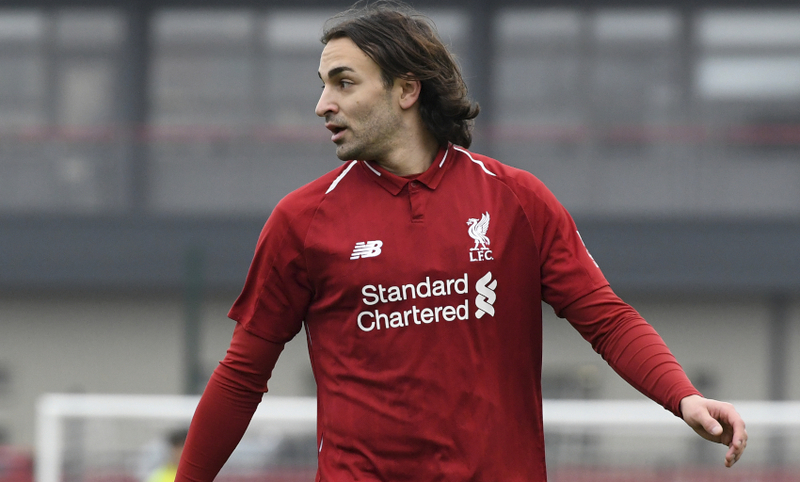 It was his driving run from deep to the edge of the box that opened avenues to pass either left to Virtue or right to Lazar Markovic. Jones opted for the latter and Markovic unselfishly attempted to reverse the ball back to his teammate for a shot – but West Brom recovered to block out the chance. 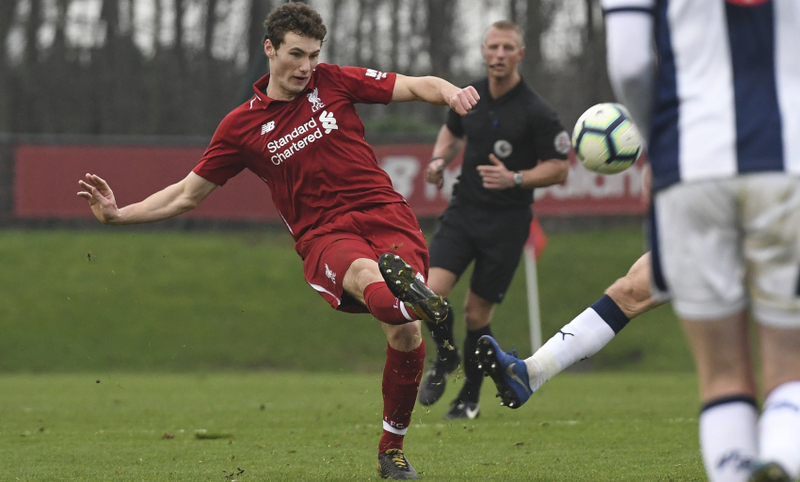 The No.9 then presented Pedro Chirivella with a shooting opportunity by holding up Liam Millar’s cross into the box and laying a pass out to the ‘D’, though the effort was curled too high. The Baggies’ threat in the opening 20 minutes had been restricted to harmless crosses from wide, and a much more direct route paid instant dividends. Edwards capitalised on a bouncing knock forward by physically shrugging off Conor Masterson and rounding George Johnston before coolly rolling a finish past Shamal George. Rayhaan Tulloch went close to doubling West Brom’s lead on the half-hour but, having escaped into space in the left channel and fashioned a yard of space, he dragged his shot wide of the far post. Liverpool’s search for fluency was hindered by knocks to Millar, who was forced off on 37 minutes, and Jones; he persevered until half-time before being withdrawn. Critchley adjusted his front line as a result of those injuries and Adam Lewis, switched from left-back to right wing, helped to forge a series of good chances as the hosts seized control of the tie. His pressing led to a close-range effort from substitute Glen McAuley being well saved by the legs of Brad House, his own driven hit was palmed away and the rebound evaded Markovic, who might have then done better with a back-post header from Lewis’ excellent cross. West Brom had appeals for a penalty rejected when Edwards’ blast struck Johnston’s arm in the box – and their frustration was compounded within moments. House carelessly sent the ball straight to Virtue and the Reds midfielder expertly took advantage with a clever first touch and precise lift back over the goalkeeper into the open net. By now, the encounter was end to end. Edwards’ dribbling pace drew out defenders and allowed a reverse pass into Tulloch – but his low shot was flicked wide by the diving George. Lewis had the ball in the West Brom net soon after, though a narrow offside call denied him after collecting Chirivella’s through pass and stepping around House. Neither side were able to muster a winner, though, with George superbly denying Jamie Soule and then Dan Meredith one-on-one in the final minutes. So Liverpool will now require positive results at Burnley and Bournemouth next month to have any hope of qualifying from Premier League Cup Group C.
Liverpool U23s: George, Whelan, Lewis, Masterson, Johnston, Chirivella, Millar (McAuley, 37), Virtue (Brookwell, 80), Jones (Juanma, 46), Christie-Davies, Markovic.